Is the student prescribed an inhaler? If yes, please provide instructions on when it should be administered. Please note: Children being signed up for the 4-year old class must have turned 4 by 5/15/19. 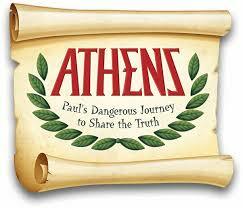 Cost for VBS is $50 for the first child and $75 for two children or $100 for three or more children. Checks must be made out to "St. John the Beloved- VBS". The fee is non-refundable and is due by June 1. We must have a minimum of 50 children enrolled for the program to happen. The completion of Form A must accompany the submission of this form. Form A is found via this link: Form A. If you should have any questions or comments, please contact the office at 302-994-7757. Looking forward to another wonderful experience of Vacation Bible School. We are alsways grateful for many helpful hands. If you can volunteer to help with this program, please contact Mrs. Ballintyn via email at dballintyn@sjbde.org. Thank you!